The athletes from each team came out to help raise funds for Breast Cancer Awareness. The event last week was Hula hoop for Hope. We painted out football field with two big pink ribbons. There is also two Coaches (Jackie Rizzuti -vball and softball, Jim Fernhoff – fball) raising money. Whichever coach raises the most money will get a pie in the face. 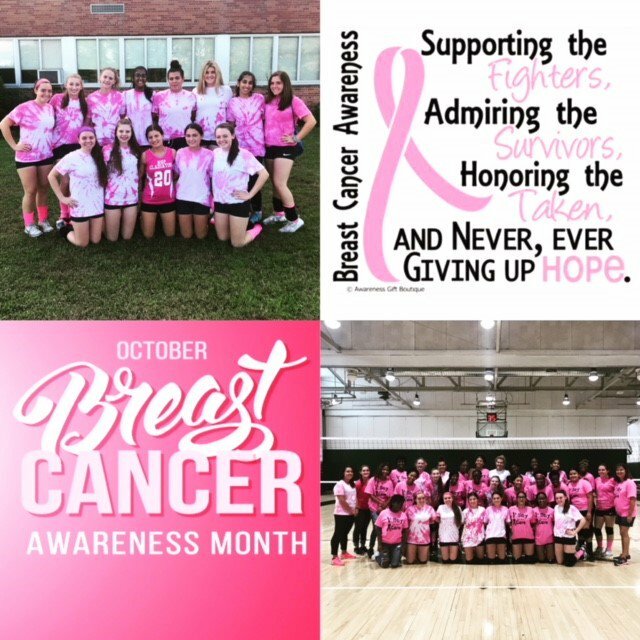 Some teams do more than others, like vball-dig pink. Many of the athletes do it themselves by just showing up to events. The month long event is run by one of our social studies teachers who has numerous events throughout the month.